More than most other forms of transport, the train immerses the traveller into the country it crosses. A slow train can be a window into the lives of the people and an expression of how the country works. 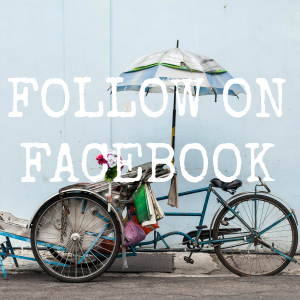 The Myanmar rail network is all this, and so much more. 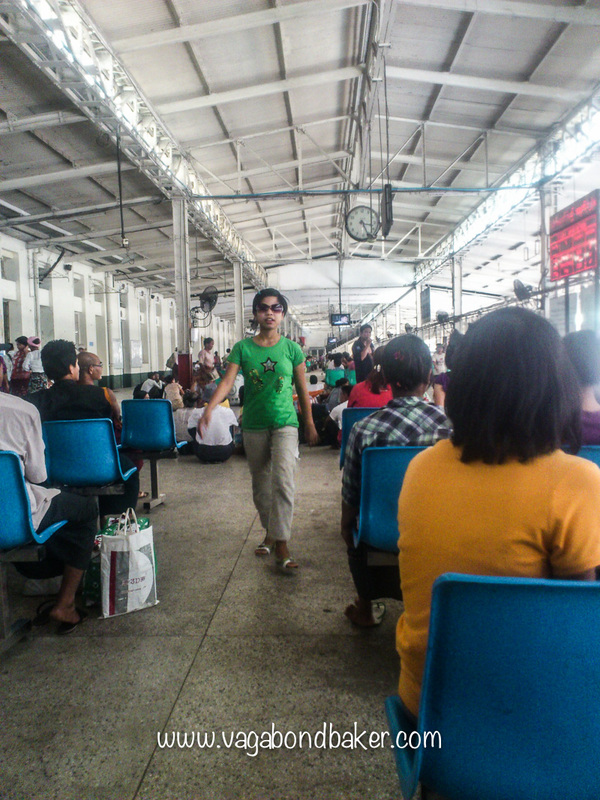 The Myanmar rail experience begins at the railway station, reserving tickets. We’d inquired at our guest house if they could book tickets but they recommended going down to the station. Arriving at the ticket office we kind of saw why, the ticketing system is entirely manual, reams of carbon copy paper and ledgers upon ledgers. Not a computer in sight. We took a taxi to the ticket office on our first morning in Yangon, he took us to a ticket office at the back (?) of the main railway station, possibly because parking was easier. It looked more like an auction mart than a ticket office but there was a long bank of ticket counters. Few were open and there was a distinct lack of customers. All the signs, and there were many, were in the bewildering Burmese script. Luckily our taxi driver had accompanied us to the counters and he asked where we needed to be. We were directed to a smaller bank of counters to the left. 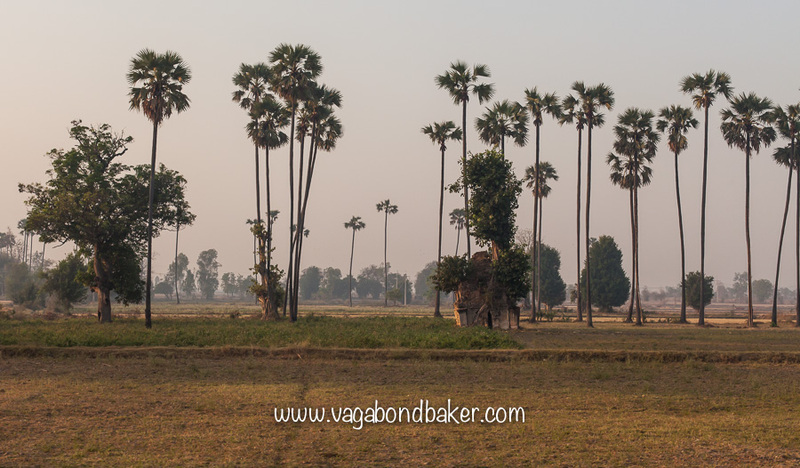 Here there was a price board with the destinations and ticket prices for foreigners listed in English, the cost of the overnight sleeper to Bagan had been slashed from $50 to $40– well that was good news! 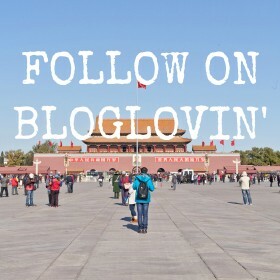 The man selling our tickets spoke enough English to explain our ticket, he had a very strange accent, unlike any we’d heard, he was chewing betel and the odd-sounding words tumbled out of his red-stained mouth as he pointed to his handwritten details. 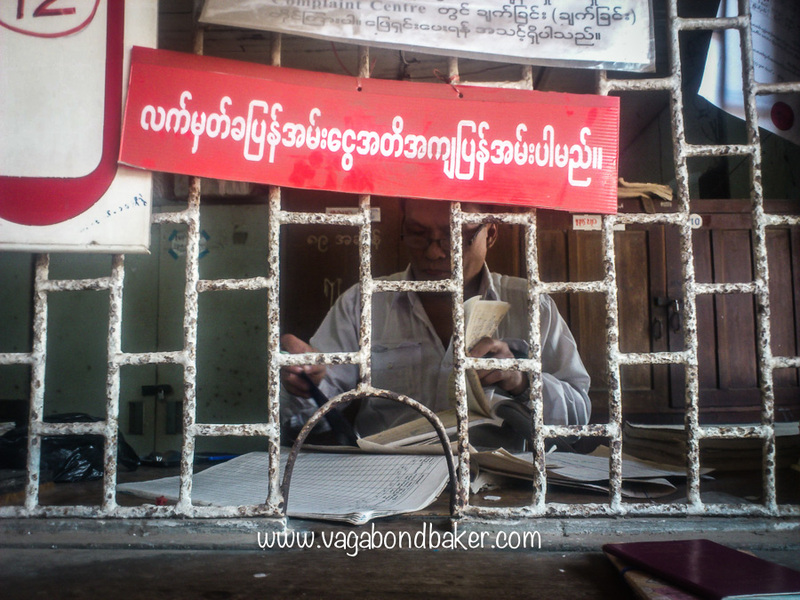 We left the ticket office with two tickets for the following day’s overnight train to Bagan. I really wanted to take the train, it sounded like a unique Burmese experience and taking the train is something ‘I do’. The Man in Seat61 – first stop website for travel planning – more than confirmed it; for a train geek like me: this was a must do! The problem is that it is also a government-run service, every dollar spent on the ticket goes to the government. It was another dilemma, the NLD wants the tourist to choose independent services, to not support the government (see previous post). In this case I should be taking a bus, or paying a driver. It was a selfish decision, I chose the train. We weren’t package tourists being shipped in, escorted round from one government service to the next, we were independent travellers interacting with the everyday people of Burma on a daily basis and by taking the train this interaction is something I very much hoped would happen. After our morning walk around the city I’d met an English guy back at the guest house, overhearing him discussing taking the train I’d shown him our tickets and talked him through the process. Mike was keen to experience the train too and had been down to the station, to a different ticket office by all accounts, and booked himself onto the same train. The three of us took a taxi to Yangon Station and found some empty seats in the huge covered space between the brick station and the fenced-off tracks. This ‘waiting room’ was busy with locals and we settled in amongst them. Chris recognized a couple who had been on our flight from Bangkok and when the train didn’t appear at its expected time we got chatting. It turned out Karen and Robert would be our cabin mates for the journey. A small group of teenage Burmese girls sitting in front of us seemed rather intrigued by our conversations, peering over the seat backs at us wide-eyed. When we spoke to them though they suddenly became very shy, shrinking behind the seats and giggling, it was cute. A train pulled into the station and the waiting room came to life, however it wasn’t our train: it was the Mandalay train running over an hour late. I’d read the trains could be terrifically unreliable and prone to long delays, we were learning this from the get-go, or the not-get-go as it was turning out. 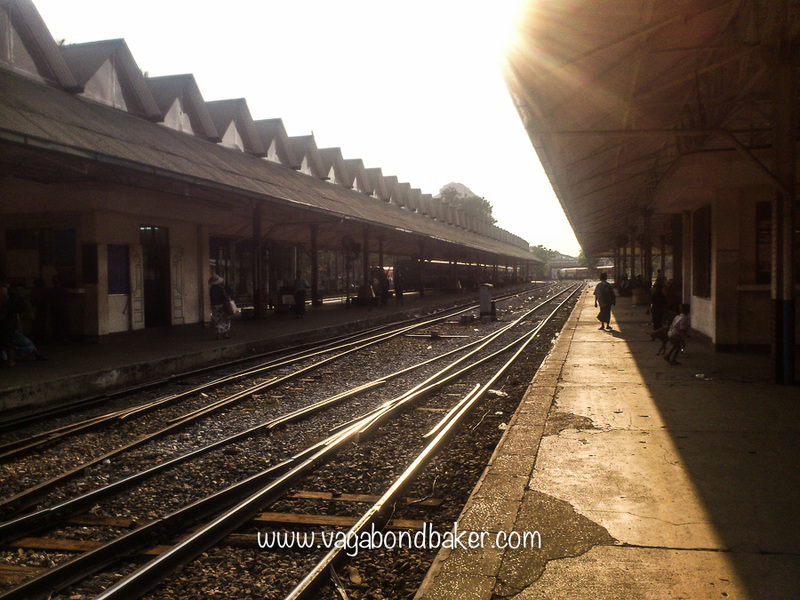 At about 5pm we were told over the tannoy (in Burmese) that the platform had changed, we confirmed this through a station worker, and the whole waiting room hot-footed it over the bridge to platform 3. The Yangon to Bagan train pulled in ten minutes later, we’d just had time to buy fruit off the platform vendors before finding the sleeper carriage. Our compartment was huge! So spacious, with four berths, a cupboard, two windows and a fan overhead. The beds were pretty wide too. 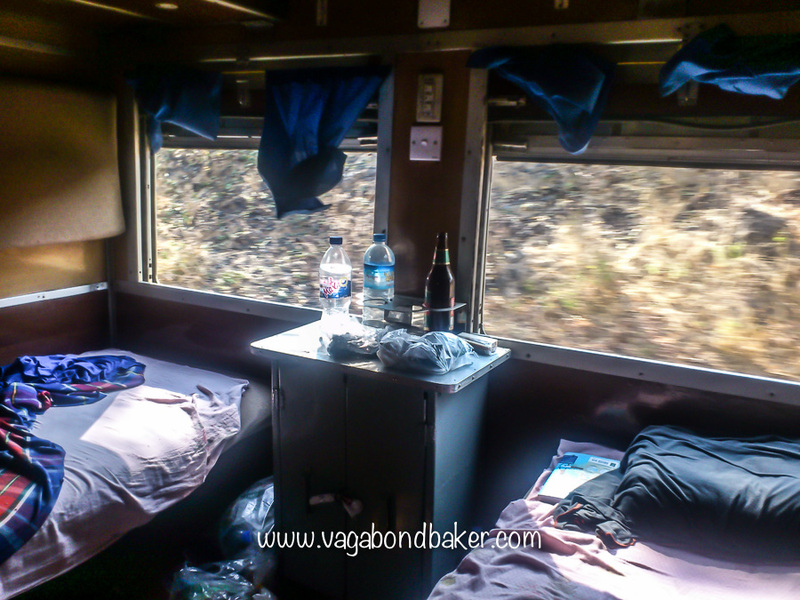 We got settled in, Mike was in the compartment next door with some Burmese passengers. While the train was still standing at the platform we were pestered, in a friendly way, by two confident young girls selling us bottled water, fruit and beer, asking us what they could get us (anything apparently) when we refused something. Lulu, the elder of the two girls, was particularly smart, she knew how this all worked, we would eventually buy something from her. We bought some water, she disappeared and came back with some wicker fans, a bargain for 20p. Mike had also bought water only to discover the plastic seal was missing and they’d been refilled. We checked ours and they seemed ok bar one, Lulu just shrugged; hey, that’s how it goes! The girls loitered in the doorway of our compartment, they were obviously waiting for a gift or something. We decided this wasn’t something that should be encouraged, especially as we’d bought stuff from her. Robert had bought a lot of fruit on the platform including a bag of large oranges so Karen offered them a couple. Lulu looked at her friend/sister with disgust, in an are-they-kidding way. Karen encouraged them to take them, to do what they liked with them. The girls looked at each other again – probably figuring they could sell the oranges on to someone else – then snatched them from Karen’s hands and marched off down the carriage. It was an interesting act, Lulu and her friends had obviously had plenty of interaction with tourists, they knew what we wanted, what we asked for and what we might need, and it wasn’t beyond their pride to expect gifts. By their attitude to the oranges, they usually got it too. The train departed at 5.20pm, an hour and twenty minutes later than scheduled and we soon discovered why the guidebook had described the train as uncomfortable. The entire train violently swayed and bounced along the rails like no train I’d ever been on. The spaciously wide carriages are designed for wider tracks than the narrower gauge they run on and the rails didn’t feel quite the smoothest either. The experience was both unique and strangely enjoyable. 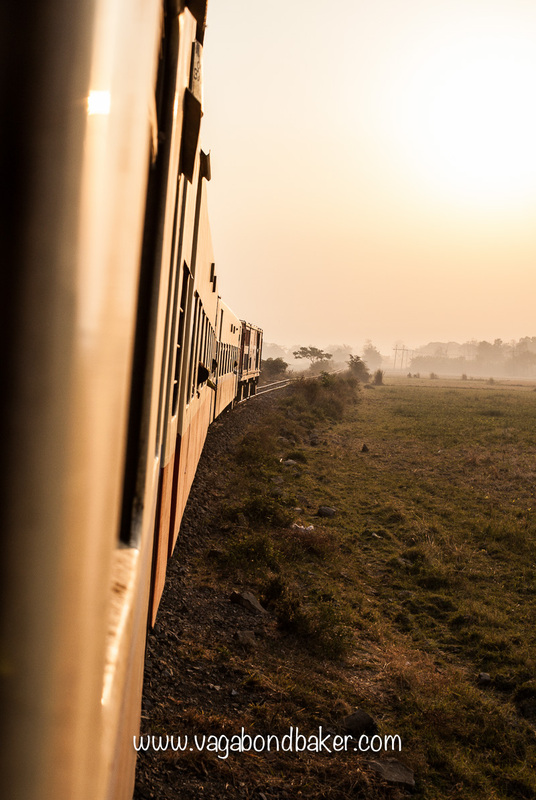 It seemed to take ages for the train to leave Yangon behind, the sprawl of the city stretched out along the train line. A group of boys were playing a game on the side tracks, a curious blend of football and volleyball, in the late afternoon sun. 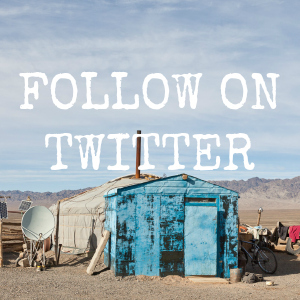 The sun set over an industrial view then the buildings dropped away and we were rocking through a rural landscape of bamboo huts, ploughed farmland and bullock carts, passing a number of massive low-tech brick factories. We had all shifted to the adjacent carriage, the restaurant car, and were huddled around a table drinking beer as the train rattled through the darkening countryside. It was a challenge negotiating the rolling, bouncing carriages to move along the train to the bathroom, especially with a couple of beers in me. It was like being on a ship on a turbulent sea. Around ten in the evening the restaurant car had emptied significantly and those that remained began to rearrange the seats to form beds, I took the hint, leaving Chris and Mike to their deep conversation. Clambering over a military man dozing on chairs by the doorway, I was soon back in our compartment, tucked up on my upper bunk, Karen and Robert already fast asleep on the bunks opposite. The irregular, violent motion of the train took some getting used to and sleep failed to find me. Chris snuck in three hours later, revealing the next morning that the guys in the restaurant car had joined them after I’d left, mostly the young men who worked on the train as attendants, and a drunken time had been had by all. 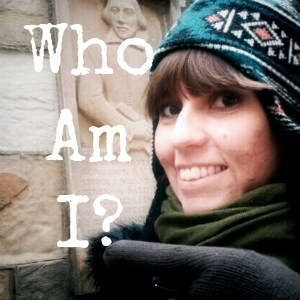 I must have eventually slept for a good few hours and woke somewhat refreshed around six. 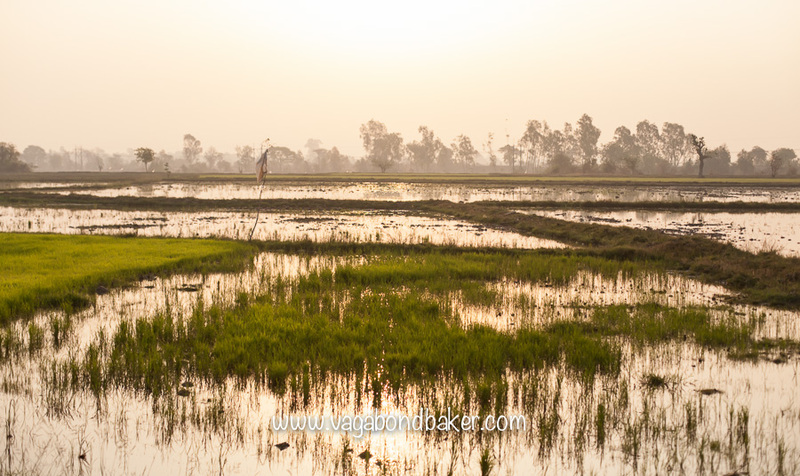 The light was beautiful, the morning sun reflecting in flooded rice paddies. I spotted a small ruined temple, very reminiscent of Angkor and shrouded in foliage, it rose from the flat plain amongst some tall palms. Everyone else went to the restaurant car for breakfast but I stayed in the quiet compartment enjoying the peace, the light and the scenery passing by beyond the open window. One of the young attendants came in, asking if I needed anything. I didn’t and he hovered, noticing my unopened cake packet. “A present? A present for me?”. I hadn’t opened it yet, intending it to be my breakfast. I promised if he came back later he could have what I didn’t finish. This seemed to satisfy him. There were grapes on the cupboard by the windows, he helped himself, gazing over the compartment. He wanted to see my Kindle, which I’d been reading when he’d breezed in. I handed it over quickly establishing that it wasn’t what he expected. I assumed many of his usual tourists have iPads these days as he tapped the matte screen. Our old basic Kindle wasn’t the glossy, colour display, touchscreen wonder he was hoping for! He handed it back sorely disappointed with a what’s-the-point expression on his face, greatly amusing me. Our new friend became a regular visitor to the compartment, and as we neared Bagan he upped his request for a present. Now he wanted “money present”. Chris revealed he’d already had a “money present” when they’d been drinking the night before. So much for not encouraging begging! Throughout the morning the train had slowed for junctions and rural stations where women and children were waiting, waving at the train. 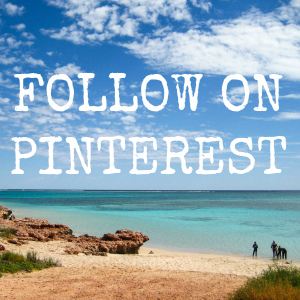 We’d wave back, blissfully thinking what friendly people. Then we realised, the sad fact was they were begging. Begging for food. Passengers further down the train were tossing out fruit and other produce which was scrapped over by wavers. The train pulled into Bagan station just after 2pm, after a nineteen hour journey on the swaying train our legs were somewhat unstable as we wobbled out of the carriage with our bags. Later on we met up this other travellers from the guest house in Yangon, most had arrived on buses, mostly comfortable, unremarkable, air-conditioned affairs while a couple had deviated somewhere else on the way and their bus journey had been rather uncomfortable. I was glad we’d taken the train, it had been a unique and revealing experience and I couldn’t wait to ride another one! 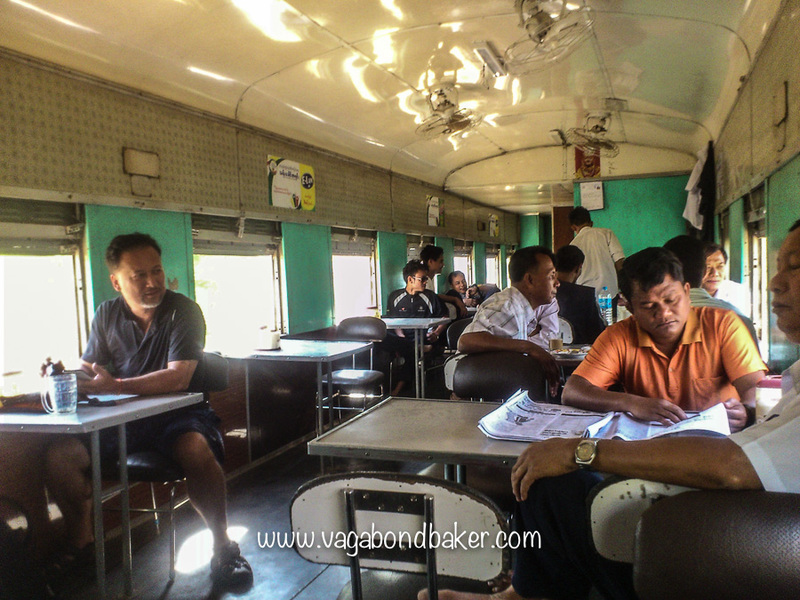 We took the Yangoon-Mandalay train a few years ago. I’m sure we bought the ticket from the same place as you did. Our compartment was not like yours but completely separated from the rest of the train. No restaurant car for us. The train was rocking so wildly I couldn’t take a swig without spilling most of the beer on my face. It was kind of fun actually and we laughed a lot. On the way back we first took a ferry to Bagan and a bus from there. Great times! Brilliant! Well that certainly shows how times are a changing: it was great having access to the restaurant car. It was a fascinating place to hang out and watch the evening play out. Mind you, it was darn tricky drinking the beer though, we were in stitches! And negotiating the rocking and bumping to leave the car to go to the bathroom in the next carriage was hilarious! We took the express train later on in our trip, a day train, and it was much faster and far more violent in its movement– more on that later in the week. Great times indeed! Thanks for popping by!